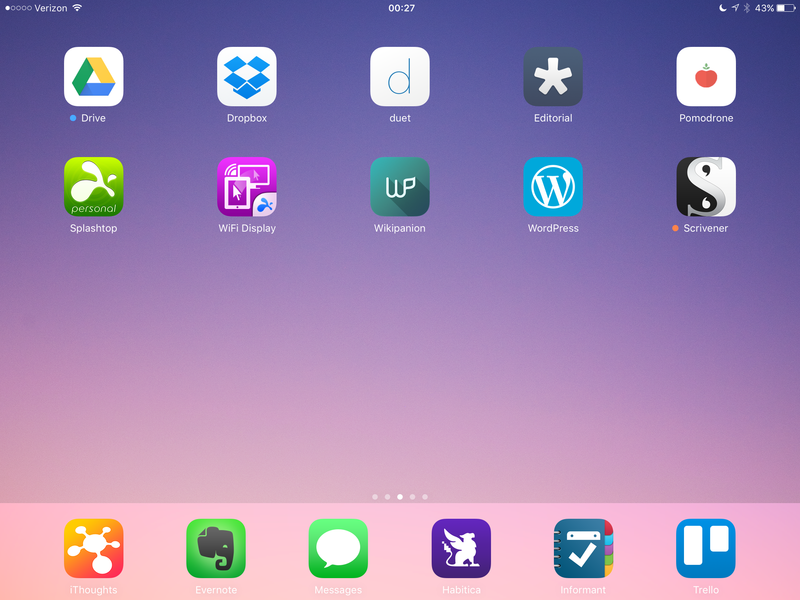 Yes, that’s Scrivener for iOS there on the right of the second row. I am a beta tester. The rules are, no screenshots and no discussion of features, so I won’t. The good news — it’s already solid enough that I’ve deleted Index Card from my devices. More good news — I’ve already made 4 bug reports. That’s why they pay beta testers the big bucks . . . Oh wait. We’re not paid. Darn. The bad news — I’ve spent a lot of time reproducing bugs and writing reports during which I might have been editing. Now I remember why I don’t QA software for a living any more….